It’s been a tragic and mind-numbing week for police shootings of Black people, and the shooting of police officers in Dallas, and it makes me so bordering on hopeless about America that part of me wants to throw my hands up and not think or write about race or politics anymore. But that’s not going to happen. Because we’re living in a time that is so volatile and critical that no people of color — including Asians — have the luxury of looking away or just minding our own business. So I want to collect and share some of the most compelling things I’ve read this week regarding the role and potential for Asians and #BlackLivesMatter. Chinese American moms can instantly help make America a safer place by uniting with the Black community. This is a radical thought because everyone is also talking about Asian Americans being anti-Black, especially immigrants. As people who suffered from anti-Chinese racism that banned us from immigrating for decades, any form of anti-Blackness from us is hypocritical. Besides, our kids who are born and raised in the U.S. embrace Blackness as part of their American heritage. Talk to your nieces, nephews, cousins, students–everyone. Teach them how our skin color matters. Teach them our country’s sordid history with race. Tell them how we can learn from our mistakes. Those of us with brown skin shouldn’t be the only ones teaching our kids about race. Learning about each other’s differences teaches compassion and empathy for others. This is why I’m so committed to sharing diverse books on this site. Start the conversation now. Don’t wait until another black person is killed. 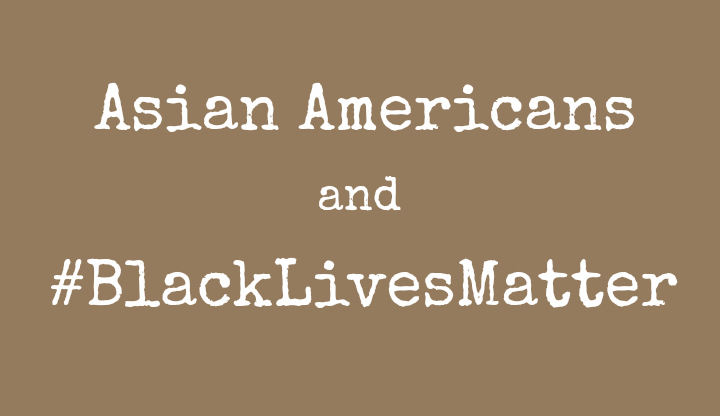 Most of the blogs I’ve noted above are written by Asian women who are married to Black men or have children who are Asian-Black mixed-race, so perhaps they have a much more personal and urgent connection to #BlackLivesMatter. But I don’t think that morally or practically, this is a concern only for people who look like the people who have been dying. 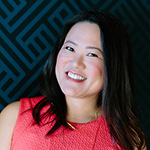 There is, of course, the moral imperative to call attention to and stand against injustice, but as Asian Americans, we inhabit a unique — and uniquely fraught — position in the racial fabric of the United States. It is too easy for us to be pitted against black and brown people as the Model Minority or even to just ignore current problems and be safe in the bubble of college-educated, suburban, professional, safe America, not realizing what we are quietly sacrificing for this “comfort”. And I’m going to venture out to say that for Asian-white mixed race people or Asians in interracial marriages, it is particularly easy to feel removed from these dangers. Thanks for your comment, Alex. I made an edit above to note that I was referring to the privilege that Asian-white mixed-race people might have, in contrast to the Asian-Black stories above. You are amazing. Thank you for your eloquence, passion and activism!